The Food and Drug Administration today announced that it will require class-wide changes to the labels of all prescription opioid medications and benzodiazepines in an effort to inform health care providers and patients of the serious risks associated with the combined use of the medications. The agency will now require boxed warnings—the FDA’s strongest warning—and patient-focused Medication Guides for prescription opioid analgesics, opioid-containing cough products, and benzodiazepines (nearly 400 products in total), with information about the serious risks associated with using these medications at the same time. The announcement came after the agency review found the number of patients receiving overlapping benzodiazepine and opioid analgesic prescriptions increased by 41 percent between 2002 and 2014—an increase of more than 2.5 million opioid analgesic patients receiving benzodiazepines. The review also revealed that from 2004 to 2011, the rate of emergency department visits involving nonmedical use of both drug classes increased significantly, with overdose deaths involving both drug classes nearly tripling during this period. Recent studies suggest concomitant use of opioid analgesics and other CNS depressants, including alcohol, is also associated with serious adverse events. The FDA said it will continue to examine the evidence on the combined use of benzodiazepines or other CNS depressants with medications used to treat opioid addiction and dependence. Patients and health care professionals are encouraged to report any side effects involving opioids, benzodiazepines, or other medicines to the FDA MedWatch program. 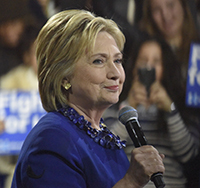 Democratic presidential candidate Hillary Clinton unveiled a comprehensive mental health plan today that shows high commitment to initiatives for which APA has long advocated. A focus on early intervention efforts, such as the APA’s Foundation’s Typical or Troubled program, which trains educators to quickly identify children in need to behavioral health resources. A pledge to enforce the Mental Health Parity and Addiction Equity Act of 2008, which requires insurers to offer coverage for psychiatric illnesses on par with other illnesses. The creation of a national initiative headed by the U.S. Surgeon General for suicide prevention. According to statistics cited in Clinton’s agenda, the overall rate of suicide in the United States increased 24% between 1999 and 2014 and is now at its highest level in three decades. An effort to increase the integration between medical and behavioral health care systems and expand community-based treatment, which includes reimbursement for collaborative care models and a nationwide strategy to address the shortage of mental health providers. The APA report “Economic Impact of Integrated Medical-Behavioral Healthcare” indicates that system integration could yield an annual savings of $26-48 billion to health care systems. A White House Conference on Mental Health within her first year of office to focus greater attention on mental health issues, promote successful interventions, and identify barriers and solutions. Other aspects of the plan—which cuts across the spectrum of mental health care from discovery to recovery—include boosting support for research into brain development and human behavior and expanding housing and employment opportunities for individuals with mental illness and other disabilities. Clinton plans to hold a town hall meeting by telephone with stakeholders in the mental health area, including APA, later today. Detailed coverage of Clinton’s plan will appear in a future issue of Psychiatric News. In a letter sent to 2.3 million physicians and other health care professionals across the country on Thursday, the U.S. Surgeon General asked them to pledge their support of a national movement to reverse the opioid epidemic in the United States. 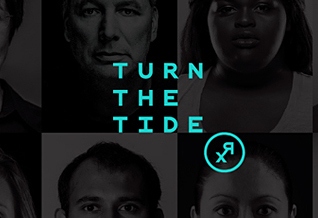 The letter—which Murthy noted marks the first sent from his office to health professionals to address a public health crisis—is part of the Surgeon General’s TurnTheTide Campaign, a national effort to raise awareness about those affected by opioid use disorder, successful treatment programs, and the challenges that remain in communities hardest hit by the epidemic. Screen patients for opioid use disorder and provide or connect them with evidence-based treatment. Speak openly about the fact that addiction is a chronic illness that requires treatment. “I know solving this problem will not be easy. We often struggle to balance reducing our patients’ pain with increasing their risk of opioid addiction. But, as clinicians, we have the unique power to help end this epidemic,” Murthy wrote. To read more and pledge your support of the Surgeon General’s campaign to end the opioid epidemic and access APA training and other resources on opioid use disorder, click here. For related information, see the Psychiatric News article “Residents Can Help to Curb the Current Opioid Epidemic” by Rachel Katz, M.D. Although atypical antipsychotic medications can help to reduce irritability and agitation in youth with autism spectrum disorder (ASD), these medications are known to cause weight gain and may increase risk of diabetes. A small trial published online yesterday in JAMA Psychiatry suggests that metformin, a drug used for treatment of type 2 diabetes, may decrease weight gain in children with ASD. Evdokia Anagnostou, M.D., a senior clinician scientist at the Bloorview Research Institute in Toronto, and colleagues randomly assigned 61 young people (aged 6 to 17) with ASD to receive metformin or placebo for 16 weeks. 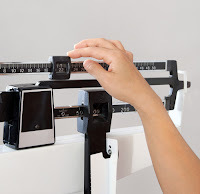 (All of the study participants had been taking a stable dose of an atypical antipsychotic for at least one month and had documented weight gain since starting on the medication.) Children aged 6 to 9 received metformin or matching placebo titrated up to 500 mg twice daily; those 10 to 17 received 850 mg twice daily. The primary outcome measure was change from baseline to week 16 in body mass index (BMI) z scores. “Metformin was superior to placebo in reducing weight gain associated with atypical antipsychotics,” the researchers reported. “No significant differences were noted in changes of any of the metabolic variables studied.” Overall, metformin was well tolerated, but the authors noted youth taking metformin experienced a higher percentage of treatment days with gastrointestinal adverse events during the 16-week trial. A study published in AJP Advance shows that combining data from demographic interviews with data from neuropsychological and neuroimaging tests may be useful for predicting adolescents who may be at risk of initiating alcohol use by age 18. “Previous findings have suggested that a mix of social, psychological, and biological mechanisms contribute to alcohol use during adolescence,” wrote the study authors, a team a behavioral scientists and psychiatric researchers. Neuropsychological and neuroimaging data may provide quantification of underlying behavioral mechanisms of risk for substance use and better help identify at-risk adolescent before they initiate such use. The study involved 137 substance-naïve adolescents aged 12 to 14. Participants' demographic information was obtained at baseline through interview. Neuropsychological testing at baseline was administered to evaluate the neurocognitive function; structural magnetic resonance imaging (sMRI) and functional magnetic resonance imaging (fMRI) were used to assess brain structure. Information on participants' substance use, assessed by the Customary Drinking and Drug Use Record, was updated every six months by telephone interview until the end of the study. The results showed that by age 18, 70 adolescents (51%) initiated moderate to heavy alcohol use, and 67 remained nonusers. The combined data model was found to be 74% accurate in predicting such outcomes. In comparison, the demographic model had an accuracy rate of 62%, and the demographic and neuropsychological model, 69%. In addition, the study identified 34 predictors that contributed to alcohol use by age 18, including being male, higher socioeconomic status, early dating, more externalizing behaviors, worse executive functioning, and thinner cortices, and less brain activation in diffusely distributed regions of the brain. "The results provide evidence that multimodal neuroimaging data, as well as neuropsychological testing, can be used to generate predictions of future behaviors with [possibly] significantly better accuracy than demographic information alone," the authors wrote. "Understanding neurocognitive factors that predate substance use initiation is crucial to specifying the consequences of substance use on brain development, as well as identifying at-risk youths and potential targets of preventive efforts." Past reports suggest the consumption of foods containing probiotics, such as yogurt, may lead to health benefits, including lower fasting glucose and blood pressure levels. Do probiotics also lower the risk of depression? According to a large cross-sectional study published today in the Journal of Neuropsychiatry and Clinical Neurosciences, the answer appears to be no. About 14% of the participants reported consuming probiotics, primarily through their diet. When making an unadjusted comparison, the probiotic users did have about half the odds of depression as non-users (odds ratio of 0.58); however, this did not factor in that people in the probiotic group were more likely to be white, older, women, healthier, and to have higher family income. When the analysis was adjusted, the association between probiotic exposure and depression disappeared, irrespective of how depression was defined. Excluding the small subset of people who took probiotics via supplements also did not affect the results. For related information, see the Psychiatric News article “Food May Be a Tool to Consider When Helping Psychiatric Patients,” by Drew Ramsey, M.D. With the possible exception of risperidone, taking antipsychotics early in pregnancy does not appear to significantly increase the risk of newborns having birth defects, a study published yesterday in JAMA Psychiatry reports. According to the study authors, more research is needed to understand the small increase in risk for malformations associated with risperidone. To examine the risk for congenital defects associated with first-trimester exposure to different antipsychotics, Krista Huybrechts, M.S., Ph.D., of Brigham and Women’s Hospital and Harvard Medical School, Boston, and colleagues analyzed a nationwide sample of over 1.3 million pregnant women enrolled in Medicaid. Exposure to antipsychotics was defined as filling at least one prescription during the first 90 days of pregnancy, and congenital malformations overall and cardiac malformations were assessed during the first 90 days after delivery. Among the 1,341,715 pregnancies included in the study cohort, 9,258 women (0.69%) filled a prescription for an atypical antipsychotic during the first trimester, and 733 women (0.05%) filled a prescription for a typical antipsychotic. The most frequently used atypical antipsychotic was quetiapine, followed by aripiprazole, risperidone, olanzapine, and ziprasidone. The authors found that overall, 32.7 per 1,000 infants not exposed to antipsychotics were diagnosed with congenital malformations compared with 44.5 per 1,000 infants exposed to atypical antipsychotics and 38.2 per 1,000 infants exposed to typical antipsychotics. While unadjusted analyses suggested an increased risk of birth defects with atypical antipsychotics (relative risk [RR], 1.36) but not for typical antipsychotics (RR, 1.17), after controlling for potential confounding by mental and physical comorbid conditions and their associated behaviors, these relative risks fell to 1.05 and 0.90 for atypical antipsychotic and typical antipsychotic exposure, respectively. Additional analysis revealed that women taking risperidone were 26% more likely than women not taking antipsychotics to give birth to an infant with a birth defect. “The small increase in absolute risk and RR for malformations observed with risperidone should be interpreted with caution because no apparent biological mechanism can readily explain this outcome, and the possibility of a chance finding cannot be ruled out,” the authors wrote. “This finding should therefore be interpreted as a potential safety signal that will require follow-up in other studies. For related information on weighing the risks and benefits of medications when treating pregnant women, see the Psychiatric News article “Yes or No: Prescribing Antidepressants to Pregnant Patients” by Jennifer L. Payne, M.D. 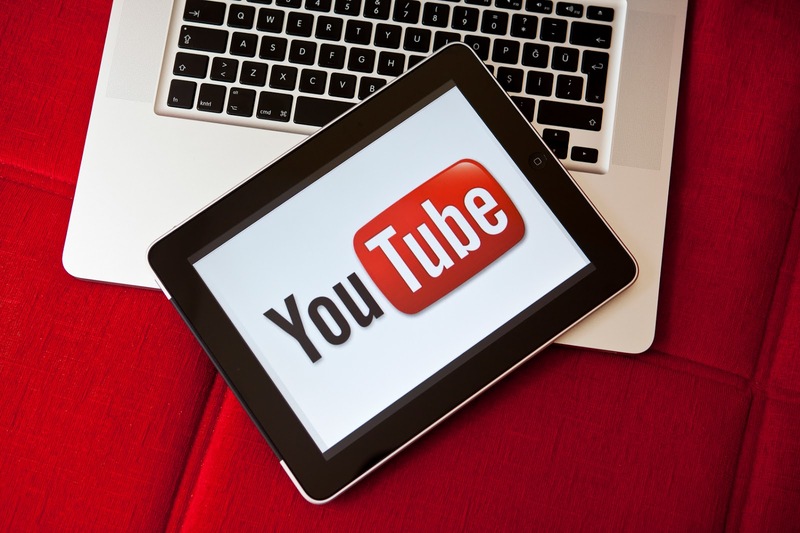 For the study, a team of researchers from the United Kingdom performed a search for all YouTube videos purporting to show footage of individuals exhibiting the signs and symptoms of acute schizophrenia. Eligible videos were independently rated by two consultant psychiatrists on two separate occasions for probable psychiatric diagnosis and psychopathological symptoms; the raters were also asked to answer the yes-or-no question “Considering the quality and content of this video, would you consider using it in a medical student teaching session as an illustration of the signs and symptoms of acute psychosis in schizophrenia?” Videos receiving a “yes” response by both independent raters were considered to have good educational utility. Of the 4,200 videos assessed, 35 videos met the authors’ eligibility and adequacy criteria. Of these 35 videos, only 12 were considered to present accurate depictions of acute schizophrenia. Compared with cases with a diagnosis other than schizophrenia, schizophrenia cases had a significantly higher prevalence of persecutory delusions (83% versus 15%), inappropriate affect (75% versus 8%), and negative symptoms (83% versus 15%). Of all adequate cases, 16 (46%) were deemed by both raters to have good educational utility. “Working collaboratively with patients to treat their conditions and meet their health goals is an approach that can help to reduce the problem of medication nonadherence,” writes Chris Bojrab, M.D., president of Indiana Health Group, in the latest issue of Psychiatric News PsychoPharm. Not all patients take all their medications all the time, notes Bojrab. Nonadherence may not be a willful act. Many patients may have a hard time understanding when and how they’re supposed to take their medications, so carefully explaining treatment goals and possible side effects is critical. Others may be deterred by cost or hampered by advancing age. Some may discontinue taking drugs because of side effects but not tell their doctor. “Let the patient know that there are other options available if the recommended treatment doesn’t work, is not well tolerated, or is not affordable,” said Bojrab. 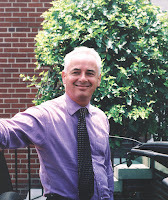 Read other tips that Bojrab offers to improve patient compliance in the PsychoPharm article. Patients who have been hospitalized with infections may be at an increased risk of death by suicide, according to a study published Wednesday in JAMA Psychiatry. The findings add to a growing body of evidence supporting a link between infection, inflammation, psychiatric disorders, and suicidal behaviors. To investigate the associations between infectious diseases and the long-term risk of death by suicide, a team of researchers from Denmark and the United States analyzed data contained in Danish registers on more than 7 million people 15 years or older over a 32-year follow-up period. The study authors defined a history of infection as one or more infection diagnoses listed in the national hospital register. Of the 7.22 million individuals observed in the study, 809,384 had a hospitalization with infection, and 32,683 died by suicide. Of those who died by suicide, 7,892 (24.1%) had previously been diagnosed as having an infection during a hospitalization. The authors found that the relative risk of suicide was increased among individuals with any hospitalization with infections by 42% compared with individuals without prior infection; the greater the number of hospital contacts for infections and days spent in treatment, the greater the risk of death by suicide. With the exception of pregnancy-related infections, all other infections examined were linked to an increased risk of suicide, which was most pronounced for HIV or AIDS, hepatitis, respiratory tract, and sepsis infections. “Although psychiatric disorders and previous suicide attempts might constitute stronger predictors of suicide, we found that hospitalization with infection accounted for a population-attributable risk of 10.1%,” Helene Lund-Sorensen, B.M., and colleagues wrote. If the association between infection and the risk of death by suicide is determined to be causal, “identification and early treatment of infections could be explored as a public health measure for prevention of suicide,” they concluded. “There is an imminent need to develop better biomarkers indicating patients at risk for suicide and improved treatment options that are personalized for persons vulnerable to suicidal behavior,” wrote Lena C. Brundin, M.D., Ph.D., and Jamie Grit, B.Sc., of the Van Andel Research Institute in Grand Rapids, Michigan, in a related editorial. “It will be important to understand how milder and long-term infections contribute to depression and suicidality.” Such infections, they noted, often go untreated and remain latent in the body for years. APA President-Elect Anita Everett, M.D. (pictured left), today was named the Chief Medical Officer at the Substance Abuse and Mental Health Services Administration (SAMHSA). She is expected to begin her duties at SAMHSA on September 5. In her new role, Everett will lead the newly created Office of the Chief Medical Officer, which is expected to provide valuable input into strategic initiatives, policy directions, and legislative issues to ensure that medically researched and clinically approved practices are incorporated in the development and implementation of SAMSHA programs and activities. The office will also play a key role in representing SAMHSA’s clinical perspectives, particularly when working with other Department of Health and Human Services (HHS) entities and federal agencies. Everett is currently the division director of Johns Hopkins Community and General Psychiatry, Bayview Campus, and an associate professor in the Department of Psychiatry at Johns Hopkins School of Medicine in Baltimore, where her research focuses on health behavior of individuals with long-term mental illness. 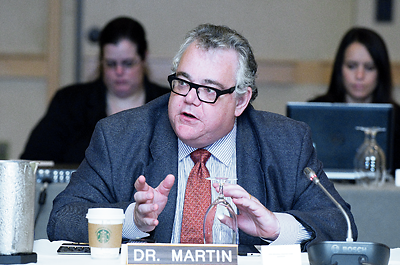 Everett was elected president-elect of APA in February and will assume the office of president at the conclusion of the APA Annual Meeting in San Diego in May 2017. She has held numerous leadership roles within the organization, which include trustee-at-large on the APA Board of Trustees and chair of the APA Task Force on Healthcare Reform 2015. Patients with pediatric obsessive-compulsive disorder (OCD) show the greatest response to SSRIs early, with most improvements seen within two weeks after starting the medication, according to a meta-analysis published online August 4 in the Journal of the American Academy of Child and Adolescent Psychiatry. While current guidelines support the use of cognitive-behavioral therapy and SSRIs as first-line treatments for OCD, the findings suggest clinicians may not need to wait eight to 12 weeks (as is currently recommended) before adjusting pharmacotherapy if a child shows no improvement on the medication. Anjali Varigonda, M.D., a PGY-2 in psychiatry at the University of Vermont Medical Center, Burlington, and colleagues identified nine randomized, controlled trials comparing SSRIs (fluoxetine, fluvoxamine, paroxetine, and sertraline) or clomipramine to placebo for the treatment of pediatric OCD. The researchers extracted weekly symptom data from trials in order to characterize the trajectory of pharmacological response to SSRIs. They found a significant benefit of SSRI compared with placebo as early as two weeks after the initiation of treatment in pediatric OCD. Over 85% of the improvement observed on SSRI compared with placebo in pediatric OCD trials was observed by week 2. The meta-analysis also found the tricyclic antidepressant clomipramine to be more effective than SSRIs when both agents were compared with placebo in children with OCD; however, the authors cautioned much of clomipramine’s apparent increased efficacy may be due to the fact clomipramine trials were performed earlier on likely less refractory pediatric patients with OCD (When meta-analysis was restricted to examining SSRI agents, there was a significant relationship between measured efficacy of SSRIs and publication year). The researchers also noted that clomipramine has significant side effects, including weight gain, anticholinergic side effects, and arrhythmias, making it a less-desirable first-line drug. A study in the August issue of American Journal of Psychiatry suggests that statins, drugs that help lower cholesterol, may boost the effectiveness of antidepressants. The findings come from an analysis of Danish health registers, which identified 872,216 people who used a selective serotonin reuptake inhibitor (SSRI) between 1997 and 2012; 13% of these users (113,108) also used a statin at the same time. People who were taking the SSRI/statin combination were less likely than those who were taking SSRIs alone to visit a psychiatric hospital for any condition (odds ratio=0.75), as well as specifically for a depression diagnosis (odds ratio=0.64). The vast majority of users were taking citalopram and simvastatin; thus, that drug combination is likely the driving force behind these results, according to the researchers. The researchers also found that the combination of the two drugs did not increase the likelihood of death or suicidal behaviors (suicide and attempts) compared with SSRIs alone. An exploratory look at individual drug combinations suggested, however, that the joint use of any SSRI with lovastatin might increase mortality risk, but this outcome was very rare. The researchers concluded that the antidepressant potential of the SSRI-statin combination warrants further testing in larger randomized, controlled trials, concluded the researchers. In particular, they noted that the specific combination of citalopram/simvastatin would be a good candidate for a head-to-head study against a citalopram-placebo combination. To read about the effects of antidepressant use on cardiac conditions, see the Psychiatric News article "Antidepressants May Help Improve Heart Health." Could Class Substitution by Pharmacists Put Patients at Risk? Should generic medications be substituted at the pharmacy for prescribed brand-name formulations? Psychiatric News spoke with clinicians about “generic substitution”—the practice of substituting a generic equivalent of a brand-name drug—and the more controversial cost-control practice known as “therapeutic substitution.” The latter, which is the substitution of a different, lower cost molecule for another prescribed medication in the same “therapeutic class,” was the focus of a recent report in JAMA Internal Medicine that highlighted the potential cost-saving implications of therapeutic substitution. Generic substitution is widely legal and commonly practiced. But therapeutic substitution—dispensing a different drug in the same therapeutic class—is well outside the norm. A law approved by the Arkansas state legislature in 2013 appears to be the first to legally sanction therapeutic substitution by a pharmacist. Clinicians who spoke with Psychiatric News were unanimous that therapeutic substitution was at least unwise, and possibly dangerous. A report appearing today in Psychiatric Services in Advance suggests that the older a child is when diagnosed with autism spectrum disorder (ASD), the less likely it is he or she will receive behavioral intervention, which has been shown to benefit children with the disorder. Instead, the report found older-diagnosed children appear to be more commonly prescribed psychotropic medications. Katharine Zuckerman, M.D., M.P.H., an assistant professor of pediatrics at Oregon Health and Science University, and colleagues assessed 722 children ages six to 11 diagnosed with ASD, from the Centers for Disease Control’s Survey of Pathways to Diagnosis and Services. The researchers found that children diagnosed with ASD at four years or older were less likely than children diagnosed at younger ages to receive behavioral intervention (25% versus 44%, respectively) and more likely to receive medications (60% versus 31%, respectively). A delay in ASD diagnosis—defined as the amount of time between parents’ first discussion of concerns with a provider and ASD diagnosis—also appeared to influence health service use. The use of complementary and alternative medications, such as nutritional supplements, was nearly twice as common among children with longer versus shorter diagnostic delays (21% versus 11%, respectively). As diagnostic delay increased, children with functional limitations became significantly less likely than children without functional limitations to receive school-based therapy, the authors reported.